Incredible 3.85 acre lot. Located on the Ridge at Anderson Creek. 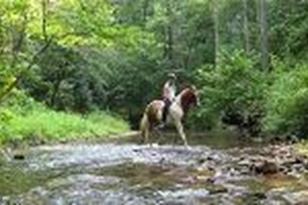 Anderson Creek Retreat is a 1,200 acre mountain community next to the Chattahoochee National Forest. 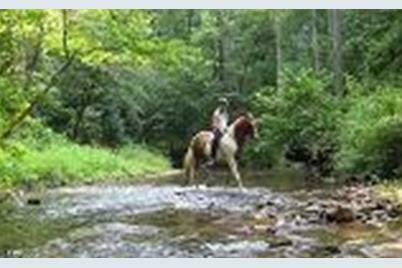 Homesites of three acres or more offer backdoor access to miles of trails through diverse natural settings, creekside and mountaintop hideaways, a first class trout stream, spring creeks, a lake, and nineteenth century homestead ruins. Conservation easements with the Georgia Land Trust protect more than 130 acres as community greenspace. Sound covenants protect long-term values. Driving Directions: GPS to Spring Camp Rd turn at the Anderson Creek Retreat Sign. Follow Spring Camp Rd for 1.1 mi. to left at Creek Camp Rd. Follow Creek Camp Rd for .5 mi. to right at Tanger Trail. Go .1 mi. to lot 30, on the left. Listed by Branches Realty Group, Inc.
Lt 30 Tanager Trail, Ellijay, GA 30536 (MLS# 6503867) is a Single Family property with a lot size of 3.4200 acres. Lt 30 Tanager Trail is currently listed for $191,000 and was received on February 28, 2019. Want to learn more about Lt 30 Tanager Trail? Do you have questions about finding other Single Family real estate for sale in Ellijay? You can browse all Ellijay real estate or contact a Coldwell Banker agent to request more information.